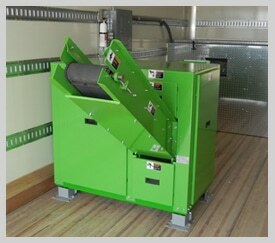 We provide secure hard drive shredding at your location or ours. If you need on-site destruction, our specially trained technicians will shred your sensitive hard drives and disc drive devices on-site using our TechnoCycle E-Shredder. This can be done independently or as part of a larger IT asset disposition project. From your location to ours, our professional moving team will carefully and securely pack up your electronics and load them onto our trucks for delivery to our facility. We accommodate your time, whether you need an evening, weekend or weekday pickup. Read more about our logistics management here. Our hard-drive data sanitation process meets the most relevant NIST 800-88 and National Association of Information Destruction (NAID) data destruction standards. 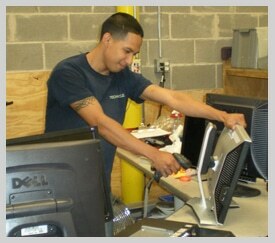 We offer data sanitation on devices ranging from computers and copiers to cell phones and networking IT devices. Reformatting a drive or simply deleting files isn’t enough to prevent potential data theft, and less secure data erasure leaves you open to potential data liability issues. TechnoCycle understands data security and sanitization are vitally important. Our specialized disk sanitizing software and knowledgeable staff work with you to ensure your data security requirements are met. For each shipment we receive, we provide you with full recycling documentation, including a manifest of all equipment detailing equipment class, manufacturer, model, serial number, and asset tag (if present). 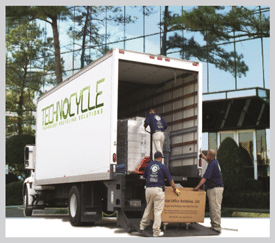 This allows you to remove the assets from your inventory and associated maintenance services, as well as transfers the liability of proper equipment disposal to TechnoCycle. Contact our team at 713-895-7409 or fill out our contact form to learn more about how we ensure complete and proper erasure of your data. TechnoCycle is proud to be your data liability management partner.